by Jane Chuck. : You Are What You Want..
You Are What You Want.. I believe we are our own choices, the little things we pick, like the music we listen to when we are sad or the lipstick we wear on a date. Big or small choices, these things define our lifestyle and sometimes, it's quite important to know what kinda lifestyle that we are living in, and how we make use of this lifestyle. So how to make use of our lifestyle? We need to know how we work, what do we like and what we don't like in order to get the right products to fit our lifestyle. You wouldn't want something bulky to bring along if you're traveling a lot or you don't want a mini bag if you need to fit a lot of stuff. We don't want to waste things buying things that are not handy to us. Because wasting stuff makes people unhappy and no one wants that. I took a test on their website the other day just to see what laptop is the most suitable for me. 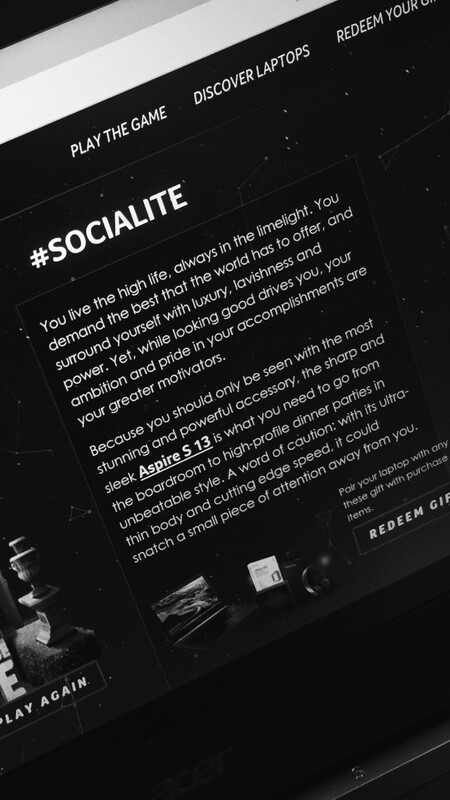 From the Acer #YouAreWhatYouWant test, I guess I have to say that I'm a socialite. I guess it reflects to my own personality, I do mingle a lot with friends and I enjoy meeting new people. fit one's lifestyle. 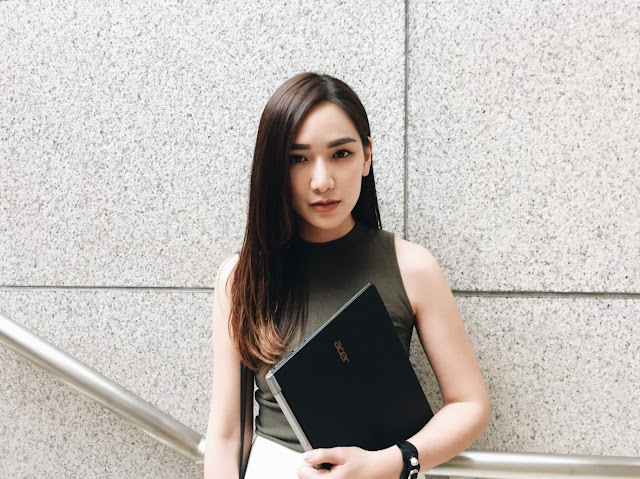 And mine, they picked an Acer Aspire S13! 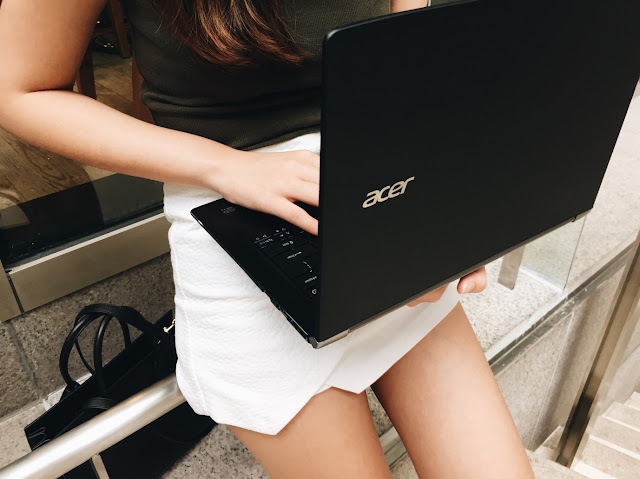 The Acer Aspire S13 features an ultra thin & light body which is a very good thing for people like me who needs to travel a lot. I mean it’s only 1.3kg and available in 14mm! Also, it's metal cover and super sleek diamond cut design definitely fits my outfit well. Besides that, its battery life can last up to 13 hours for touch screen version and 11 hours for the non-touch screen version as it’s powered by 6th Generation Intel CoreTM processor so it will last you very very long. Did I mention that it comes with TrueHarmony Sound Technology too? So music junkie will definitely love this model. Enough about that, I think it's a pretty cool test to play so maybe you guys can check it out too! Just hop on to https://youarewhatyouwant.com.my/ and take the test! Find out what you are and there are freebies to win too!!! !